As we ramp up for an exciting new growing season at Swansons, we're savoring what a special year 2014 was, highlighted by our Grow With Us project, fun social events, volunteer projects and everybody gardening through one of the warmest summers in Seattle history. It was a good year. It was also a milestone year, as we celebrated Swansons’ 90th year of business in Seattle! It's a bit hard to imagine what life was like when August and Selma Swanson and their three children arrived here to make a new start. Seattle, like much of the United States in the early 1920s, was a place of optimism and upheaval. These were the Roaring 20s: jazz, flappers, Prohibition, workers' unrest and political scrambles, emerging from the trauma of World War I. Downtown Seattle was awash in the Denny Regrade, encompassing optimism and upheaval in one project. In spite of the headlines, however, Seattle was, by most accounts, "a pretty nice place to live," a relatively quiet (and isolated) burg with wood frame houses and an Olmsted-designed park system. And of course, people needed flowers. The Swansons story starts a few decades earlier, when August immigrated from Sweden, paying his passage to America with money from a pamphlet he wrote about horticulture. 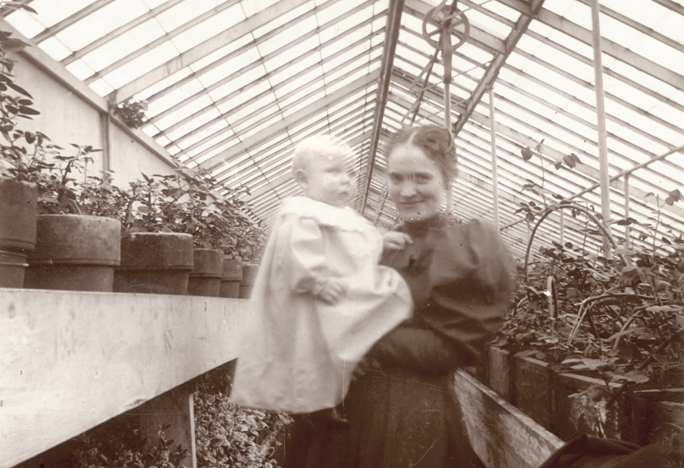 He first settled in St. Paul, Minnesota, where he started a greenhouse operation called Swanson’s Land of Flowers in 1888. There he met Selma, the owner of a small local flower shop. The two married, combined their businesses and began to raise a family. Around 1920, they left Minnesota for the warmer climes of southern California, purchasing farmland in Altadena to grow begonia bulbs for the wholesale trade. But just as they were getting started, a harsh cold snap (rare, but not unheard of down there) wiped out their crop. In 1922, they decided to try again, this time in Seattle, near the Scandinavian enclave of Ballard. Legend has it that they met a widow who owned ten acres of land and a small cottage on a gravel road (15th Avenue NW), and struck a deal, trading their California farm for her property. 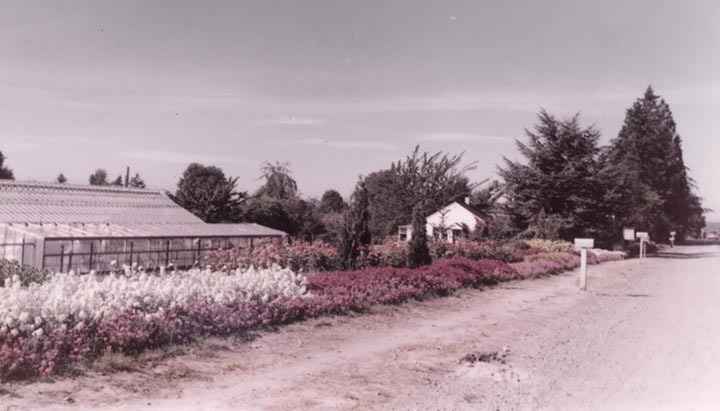 They planted fields, built a couple of greenhouses and a larger home next to the cottage, and Swanson's Land of Flowers was back in business by 1924. They grew bulbs for begonias, lilies, irises and dahlias. They planted trees, including two sequoia saplings along 15th Avenue. They hired friends, neighbors, high school kids and interns from Sweden, Denmark and other countries to help out. To weather the Depression of the 1930s, they grew popular cut flowers of the era – snapdragons, gladiolus, summer chrysanthemums, sweet peas and violets – as well as houseplants and other exotics. 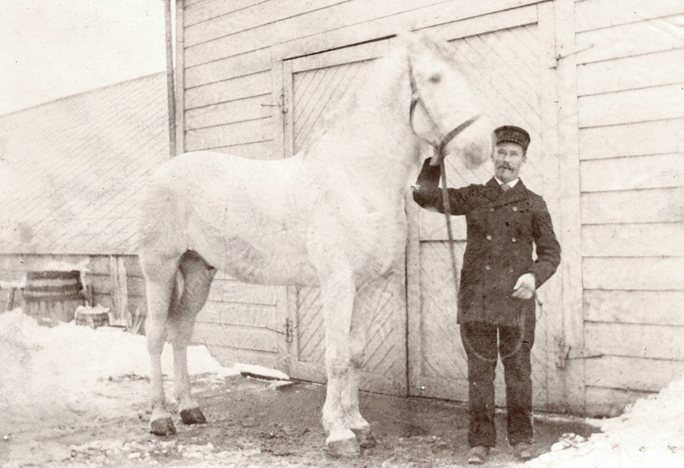 One of the Swanson sons, Ted, recalled his job traveling downtown by streetcar or bicycle to sell cut flowers to florists. In 1940, Ted Swanson inherited the business with his wife, Frances, trading homes with his parents in a symbolic 'old country' transfer of the business. They gradually transformed Swanson's Land of Flowers into a retail business selling potted and bedding plants, indoor varieties and many types of rare plants. After World War II, Seattle residents were venturing into landscaping and ornamental gardening, and Swanson's was developing a reputation for carrying varieties of trees, shrubs and other plants one couldn't find anywhere else. 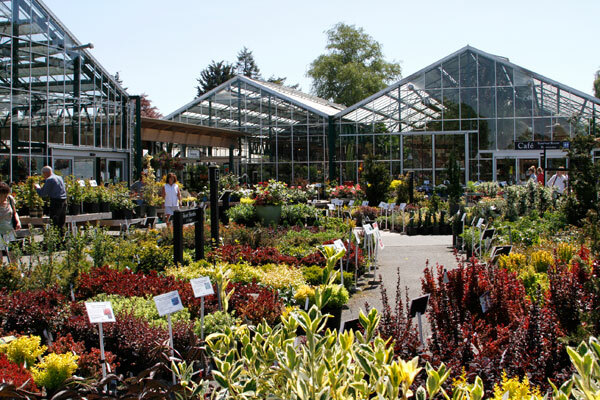 As the city grew up around the nursery, Swanson's maintained its reputation as a place to enjoy a more "rural" experience, as well as learn about gardening and buy great plants. August and Selma still lived in the property's original cottage and participated well into their later years. A 1958 Seattle Times article gave a glimpse of life at the nursery: "The Swansons dug up what the customer wanted, plopped it on the counter and wrapped it in wet newspaper. The customer who timed it right shared the cinnamon rolls and coffee that Selma brought out from the big house for the family and employees every afternoon." In 1976, nearing retirement, and with their own children choosing other career directions, Ted & Frances sold the business to Wally Kerwin, a banker who had a love for plants and a vision of growing a unique, world-class garden store while maintaining its existing friendly, professional atmosphere. We’ve changed a few things over the years, re-grading slopes and ravines and adding a small cafe and gift shop in the 1990’s, replacing our charming (but falling down) buildings with a series of state-of-the-art European glass greenhouses in the 2000’s to transform Swansons into the all-weather, energy-efficient, modern environment it is today. We’ve added creative displays, fun promotions, social events and community projects, too. As Wally explained in a 1993 Times article, "Customers come in to buy petunias for their pot and they say: `Holy cow!'" Of course, most of the credit to making Swansons what it is goes to the remarkable lineage of our staff, from Swansons family members to the aforementioned friends and neighbors (multiple generations of them, in some cases) who have worked seasonal and part-time jobs, to horticultural professionals who have come here from all over the country. Perhaps our best-known employee, Glenna Bennett, started as a neighbor working for Ted Swanson in 1967, eventually becoming general manager. Folks like Glenna, with her helpfulness, expertise and sharp sense of humor, are what really make this place "world-class." Those two little sequoia trees, planted in the 1920’s, have grown into 150-foot landmarks. Glenna finally retired in 2011, after 44 years of tolerating the rest of us, but there are others who have been here nearly as long. And there are many more stories to which this article could never do justice. Meanwhile, Swansons’ staff has planted, made cuttings, weeded, watered, joked, dug, asked and answered questions, unloaded trucks, loaded customers’ cars, swept, created displays and — most importantly — helped Seattle customers grow into smart, hip and healthy gardeners. What an honor it’s been to do this for 90 years. Here’s to the next 90!